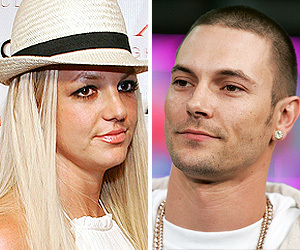 Kevin Federline’s lawyer Mark Vincent Kaplan has reportedly called an emergency hearing in the custody battle between Kevin and Britney Spears, allegedly because Brit has failed to follow drug-testing procedures. Britney, 25, has been ordered to undergo twice-weekly random drug and alcohol tests. When her custody was stripped, the court made it clear that a missed test will be considered a failed test. Both Britney and Kevin are not expected to show.